Jumpsuit, romper, or basically any one-piece is my ultimate guilty pleasure in the summertime. It's the closest thing to pajamas without looking like I just rolled out of bed! 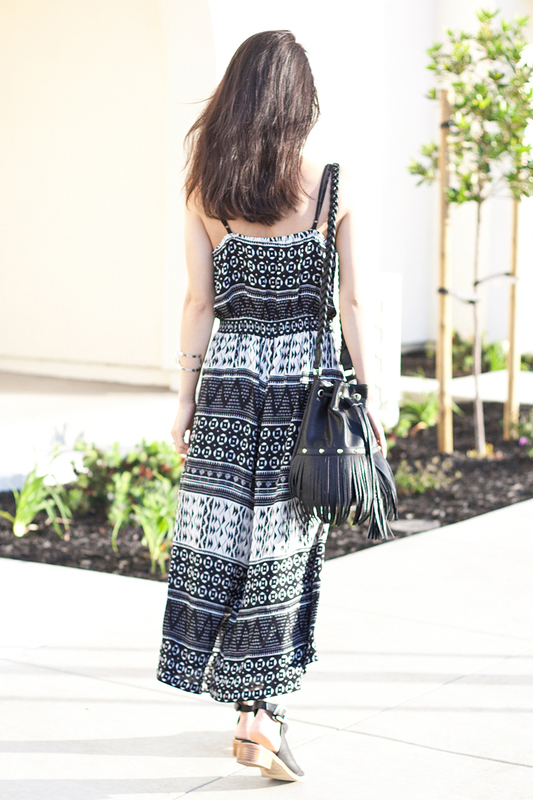 Whether I am out running errands or having a picnic in the park, jumpsuit is my go-to! I love this black and white tribal print one I am wearing. I just slipped it on and paired it with some cute accessories... like these awesome zippered peep-toe sandals, fringed bucket bag, and wood framed sunnies... Voilà! Easy, effortless, statement! Seriously, it doesn't get easier than this! Tribal print jumpsuit c/o F21. 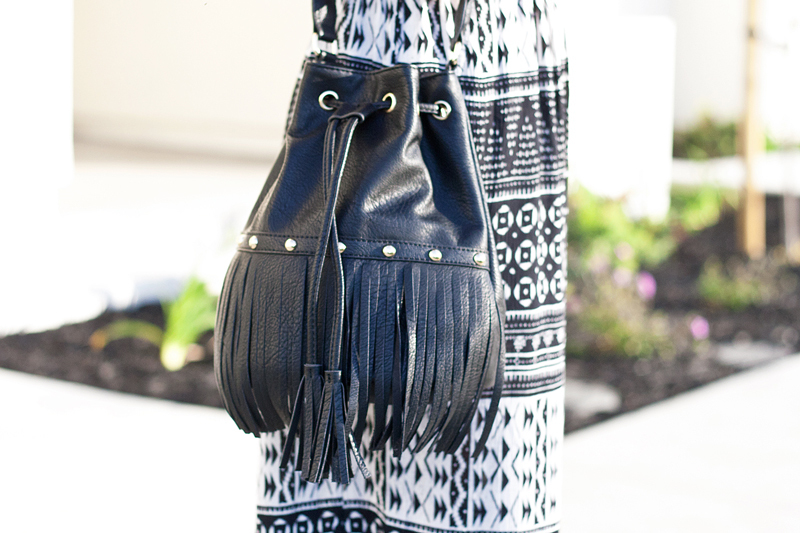 Fringed bucket bag c/o F21. Zippered peep-toe sandals c/o F21. Wood framed sunglasses c/o Woodzee. Love this jumpsuit, you look gorgeous!